Barbie: What the heck is this white stuff? Have you been baking bread again? Last time you got flour all over the house. Crystal: Yippee! It’s snowing! First real snow we’ve had all year! 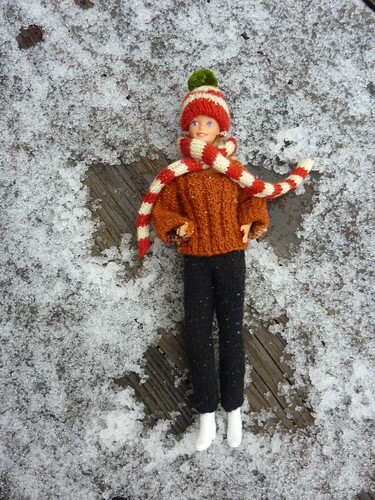 Watch me make a snow angel. I hope it snows enough for us to build a snowman. 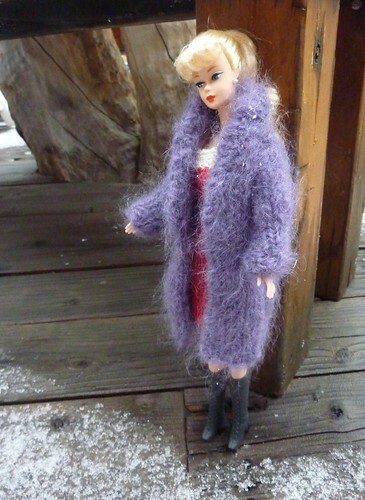 Barbie: You want snow? I’ll book a one-way ticket to Boston for you. Stupid white stuff. I’m going to get my boots wet. Crystal: Look! It’s knee deep! Let’s go build that snowman! Barbie: That’s not exactly the kind of man I’m interested in. Crystal: Fine. 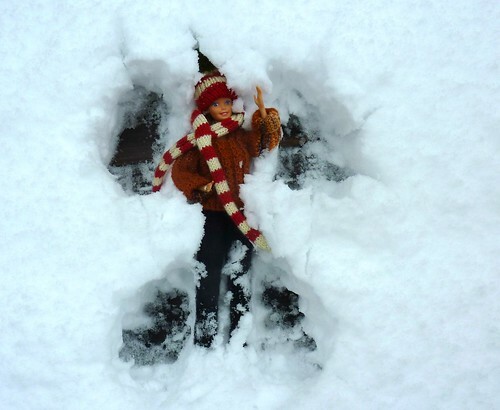 I’ll just make my snow angel. Barbie: Here, let me help you. You got snow!!! So did we – couple inches. Oh, Cheryl. You just made me spit tea at my computer screen! Such fun. . .
That was the most fun I have had all day! We’re getting more *^#*^@! snow and sleet as I type, but at least I get to laugh at the adventures of Barbie and Crystal! Thank you! 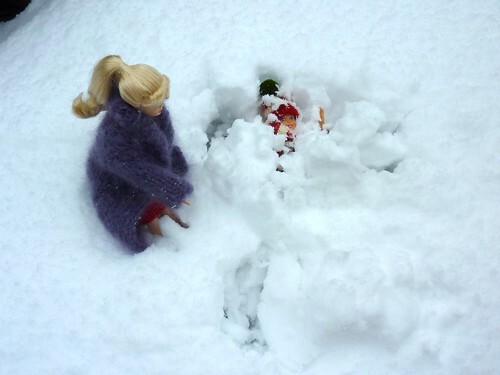 Haha, We are getting more snow right now but Barbie and Crystal are having too much fun. So glad that Barbie & Crystal are enjoying it. 😀 Love their outfits. A fine chapter in the Barbie and Crystal saga!